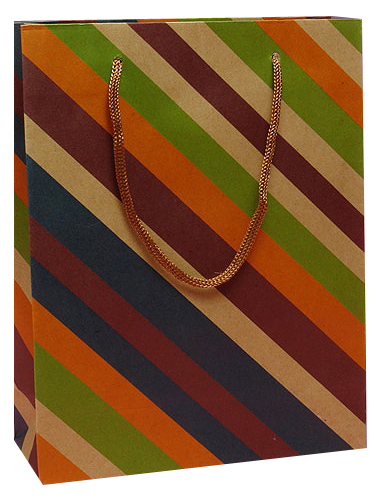 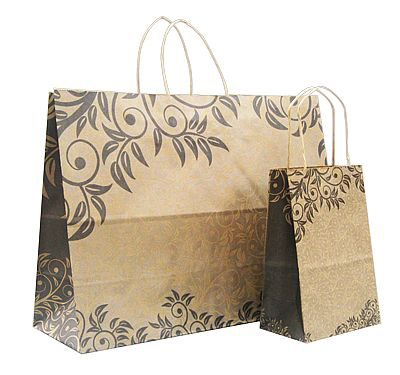 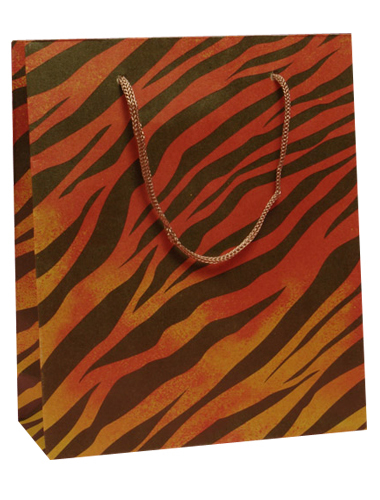 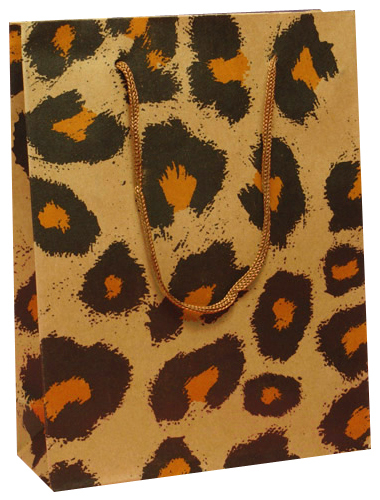 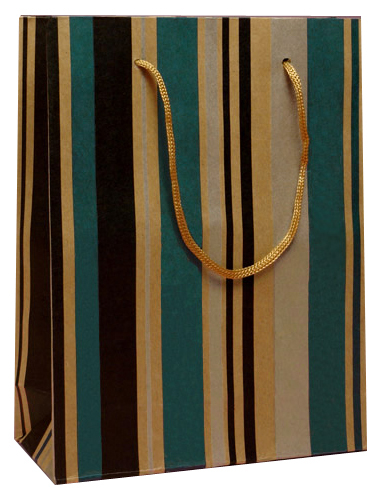 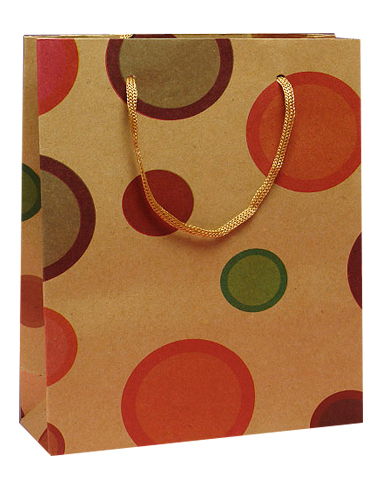 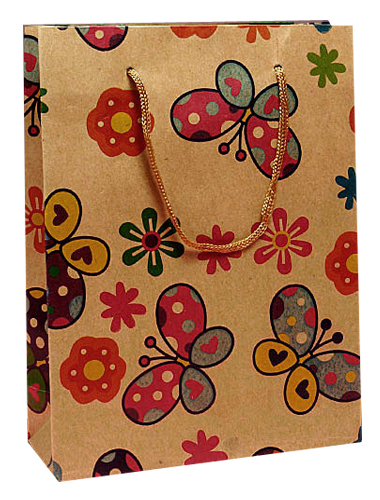 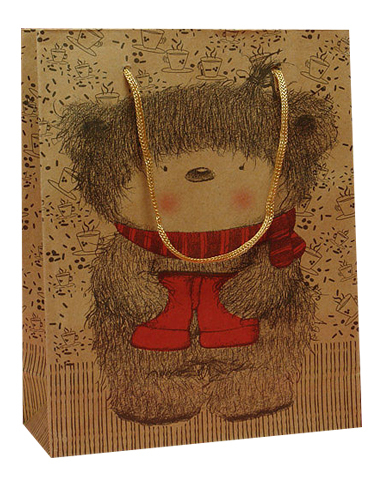 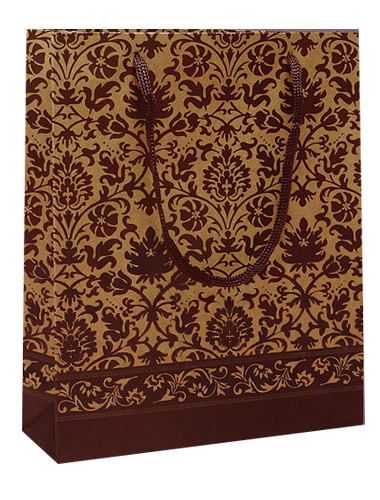 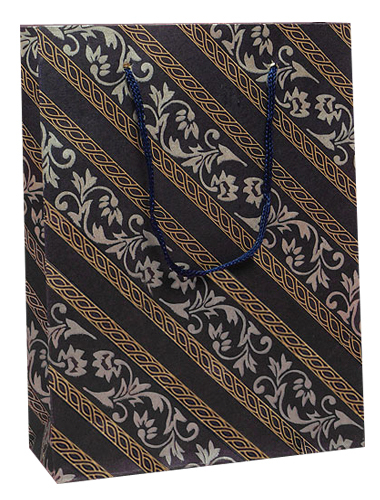 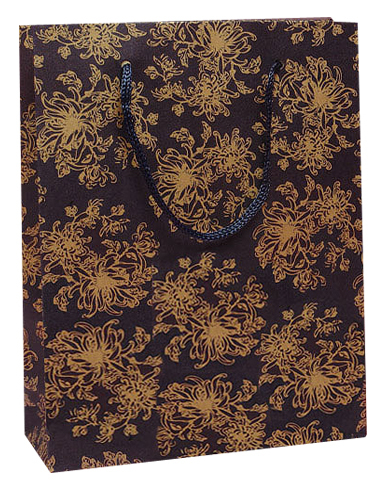 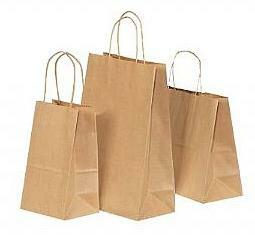 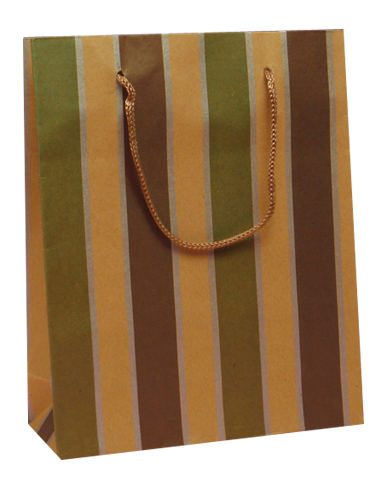 Brown paper gift bags are made from recyclable and recycled brown kraft paper,coming in many sizes,colors and designs to fit different occasion in most cost effective and green ways. 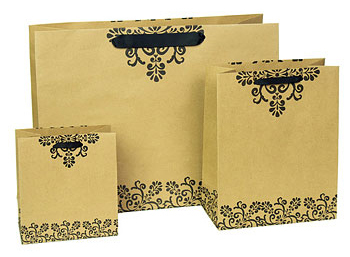 These brown paper gift bags feature colored ribbon handle,coming in 3 designs and 3 sizes,custom logo can be printed on bags by hot stamping. 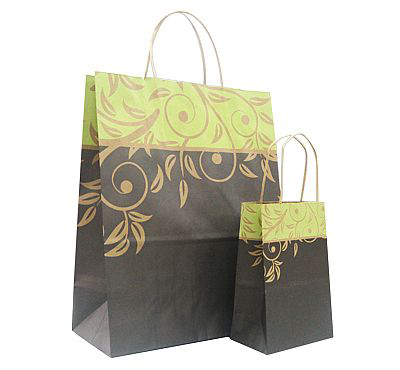 These brown paper gift bags are made from recycled kraft paper,with twisted handle,coming in 3 sizes and 3 design,custom logo can be printed on bags by hot stamping. 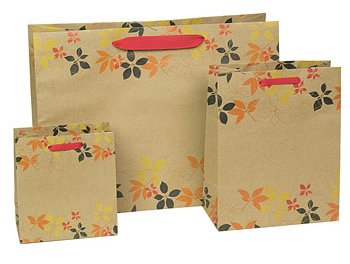 size 1) 5-1/2 x 3-1/4 x 8-3/8" 2) 8 x 4-3/4 x 10-1/4"
3) 12-5/8 x 6-1/4 x 15-1/2"
These brown paper gift bags are amde from 120g brown kraft paper,fitted with colored cotton rope and reinforced paper board at top and bottom,coming in 4 colors and 4 size.Custom Logo can be printed on bags by hot stamping. 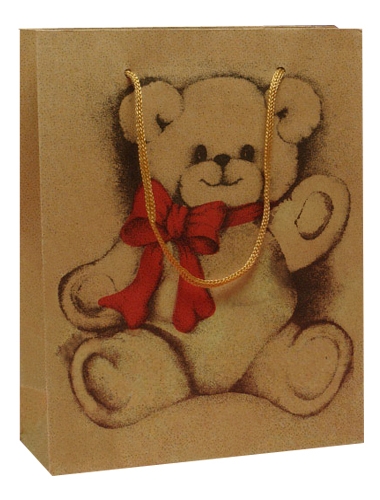 Those brown paper gift bags are made from 120g brown kraft paper,with pp rope handle,reinforced paper board at top and basement,coming in 18 designs and 5 sizes. 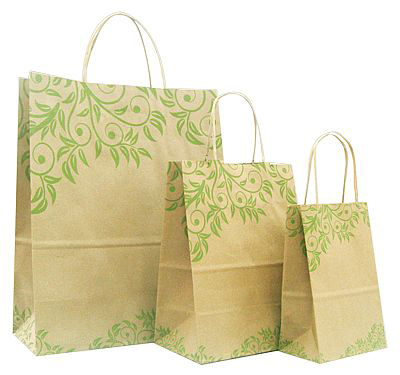 2) 8-1/4 x 4-1/4 x 10-1/2"
3) 12-5/8 x 5-1/2 x 15-3/4"
These bags are made from recylced kraft paper with twisted handle,coming in 11 sizes,custom logo can be printed on bags by hot stamping to get personalized paper bags. 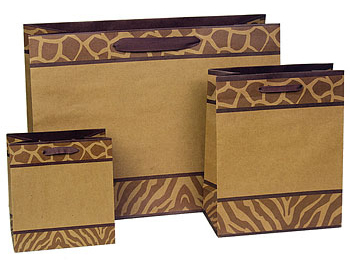 size 1) 5-1/2 x 3-1/3 x 8-3/8" 2) 5-1/2 x 3-1/4 x 12-1/2"
3) 8 x 4 x 8" 4) 8 x 4-3/4 x 10-1/2"
5) 10 x 5 x 10" 6) 13 x 6 x 15-3/4"
7) 13 x 7 x 12-1/2" 8) 14 x 9-1/2 x 16-1/4"
9) 16 x 6 x 13" 10) 18 x 7 x 18-3/4"
11) 16 x 6 x 19-1/4"
Paper gift bags have many variety,brown paper gift bags are made from cheap brown kraft paper which is 100% recyclable and bio-degradable,so brown paper gift bags are environmentally friendly and low cost.As economy shopping bags,brown paper gift bags offer many beautiful and colorful design,fitted with different handle styles such as twisted paper handle,flat paper handle,rope handle,ribbon handle to bring elegant feeling.And custom logo can be printed on brown paper gift bags by hot stamping to get customized brown paper gift bags or personalized brown paper gift bags,it is the best way to get perosnalized paper bags when your quantity is too small. 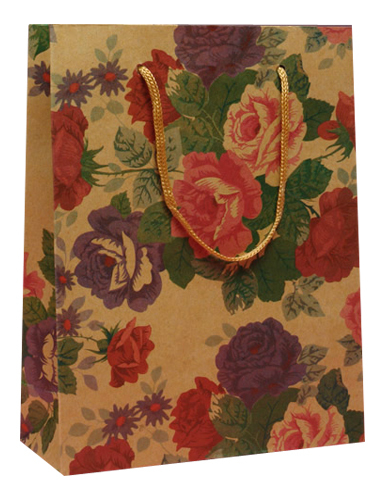 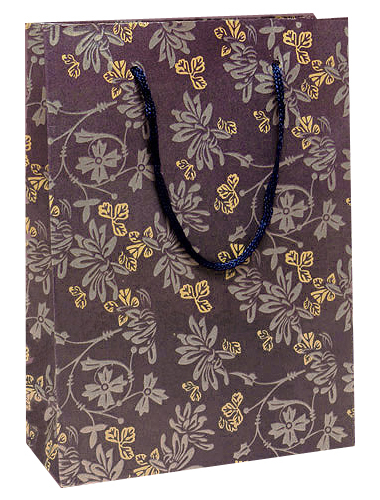 Some brown paper gift bags are made from recycled kraft paper to build recycled paper gift bags to benefit our environemnt,those recycled paper gift bags with hot stamping logo are cheap and can speak more message for your business care for our earth,coming in some popular size to fit your need at eco friendly packaging. 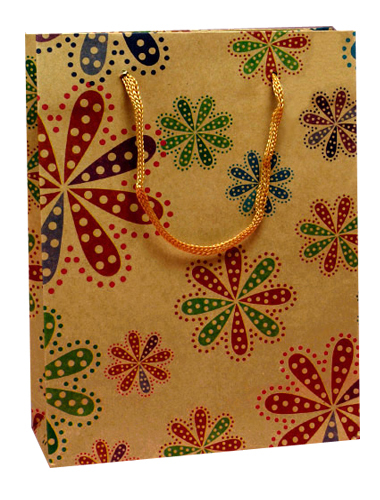 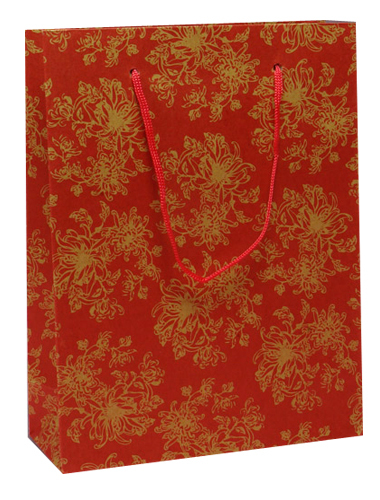 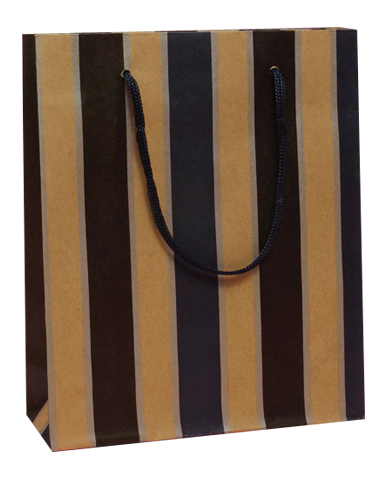 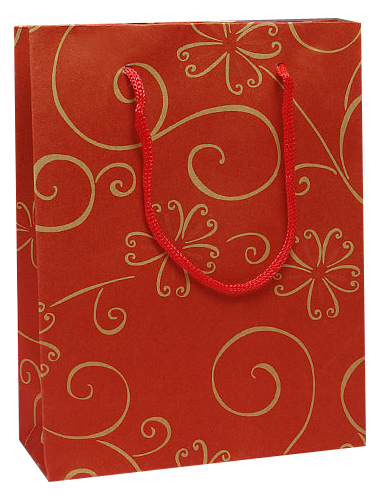 Gift Box Shop wholesale wide range of brown paper gift bags that come in a wide variety of size,color,desogn,handle to fit any end,Contact with us to get your brown paper gift bags at cheap price.